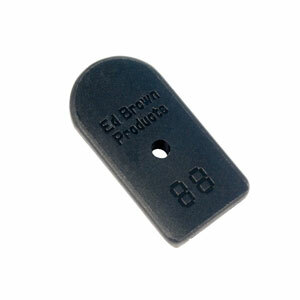 Magazines | Ed Brown Products, Inc.
View cart “10mm Magazine” has been added to your cart. Having spent over 50 years building custom 1911’s, we have tested just about everything possible when it comes to magazine design and performance. 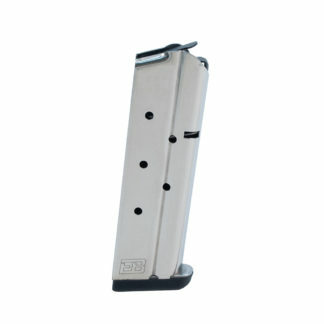 You can take full advantage of all of our research, knowledge, and testing with the new Ed Brown line of proven performance magazines. All the components have been engineered and manufactured for maximum performance, and we have combined this with an unbeatable price, selection, and warranty. 1. The tube is constructed from 0.025″ thick, certified 410 stainless, which is heat-treated to 35 Rc for exceptional strength and corrosion resistance. The tubes and the fixed base are TIG welded with the latest technology for maximum strength, longevity, and durability. The completed tubes are then highly polished inside-and-out to provide the smoothest possible operation. 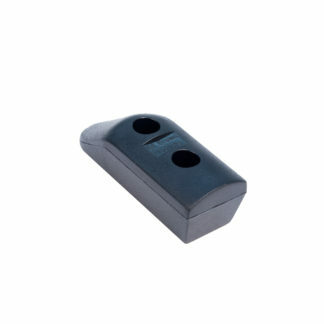 The feed-lips have been designed with the optimal geometry for each different caliber, to feed both hollow-point and target ammunition. 2. 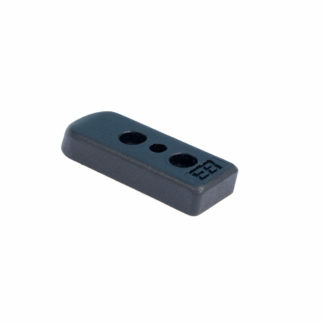 The patented follower design is made from heat-treated steel (not cheap plastic), with an extended front skirt, and an anti-friction finish. This ensures proper feeding and full engagement of the slide stop on the last round. 3. The maximum tensile strength heavy duty spring provides a longer lasting spring life, with the proper up-force to ensure reliable feeding and slide stop operation. 1. Leave the bumper pad off, for a completely flush fit, ideal for situations when you want the lowest profile possible, such as concealed carry. 2. Thin pad, for a low profile, to protect your magazine base when ejecting an empty mag, and provide extra length for easy insertion into the gun. 3. 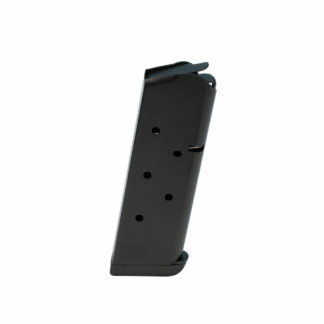 Thick pad, for use with magwells, to give extra length for easy insertion into the gun, and extraction from the gun. 5. 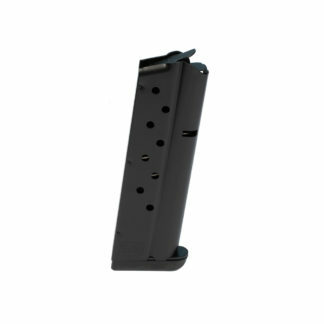 Price – these are by far the best priced performance magazines on the market today, starting price of $19.95, with none higher than $29.95. 6. Lifetime Warranty – with our lifetime warranty on the tubes and followers, there is no reason to ever buy a more expensive mag from another maker. 7. Full line of single stack mags available to fit Government/Commander size frames, and Officers/Compact size frames, in calibers 45 ACP, 9mm, 10mm, and 38 Super. 8. Black Nitride versions available. For those who prefer a low glare, non-reflective magazine tube, our complete magazine line is available in Black Nitride, the toughest black finish available today, far superior to traditional blue steel tubes. 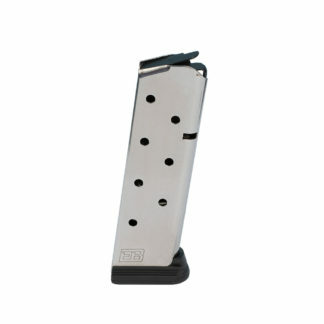 Upgrade your mags for only $10 with our Magazine Exchange Program.